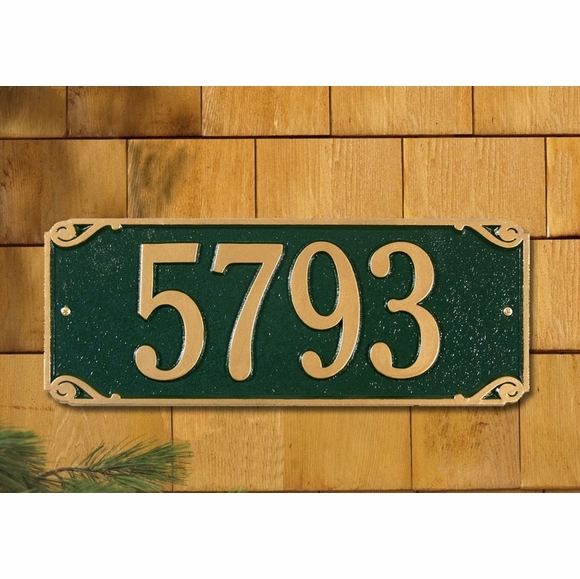 Personalized Saint Pierre House Number Sign - - holds up to five large 4.5" numbers. 16.25" x 6.25" decorative rectangle wall plaque. Made in USA. Subtle cut corners and simple scroll accents define each corner of this rectangle plaque. Line 1 holds up to five 4.5" numbers. Personalized 16.25" x 6.25" decorative rectangle house number sign. Made in USA.